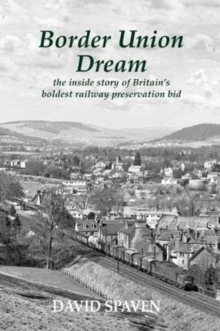 The rich diversity of Scotland's railway network has never before been the subject of a specialist atlas. 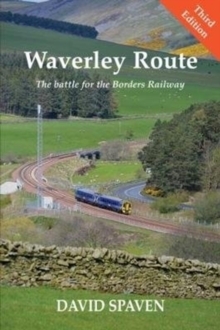 This book showcases 181 topographical and railway maps, telling the story of the country's railways from the early nineteenth century to the present day. Researched and written by David Spaven - who co-wrote the best-selling Mapping the Railways on the history of Britain's rail network - this beautiful atlas allows the reader to understand the bigger story of the effects of the railways on the landscape and the impact of Scotland's distinctive geography on the pattern of railway development over a period of nearly 200 years. The unique map selection is supported by an informative commentary of key cartographic, geographic and historical features. 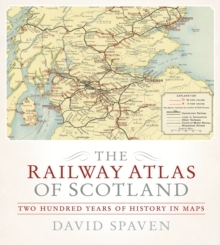 This sumptuous atlas will appeal not just to railway enthusiasts and those who appreciate the beauty of maps, but also to readers fascinated by the role of railways in Scotland's modern developments.